Beleaguered Toshiba finally unveiled its restructuring plan on Friday. The plan aims to return the company to profitability and growth through management accountability. 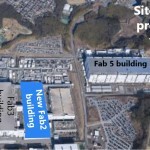 A lot of the presentation focused on the memory business, a shining star of the Toshiba conglomerate, which has so far included appliances, nuclear power plants, and medical electronics.